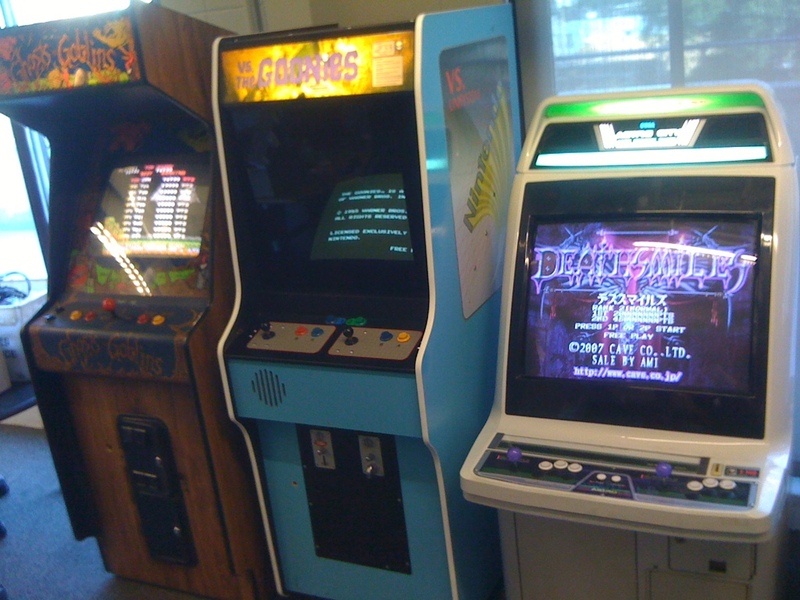 The Ghosts 'N Goblins needed some company, so I brought the vs. cab in. Shortly after that, my buddy Dave decided to get out of his cab and pcb's. I decided to pick his cab up and had it shipped from Cali. It arrived safe and sound, along with Out Zone, Deathsmiles and Progear. I set it up last night, played one credit of Deathsmiles and died on Tyranosatan at the end of 4-2 while the cleaning guy was asking me where I get all these games. 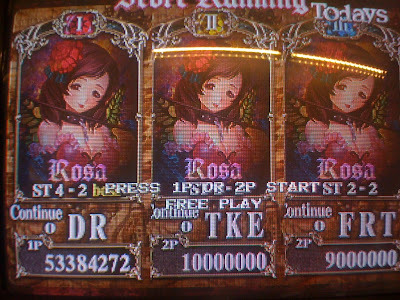 I managed 53,384,272 before I died, which doesn't seem too crappy for having no idea what I am doing scoring wise. I also didn't rank up to Lvl 3 until it made me. 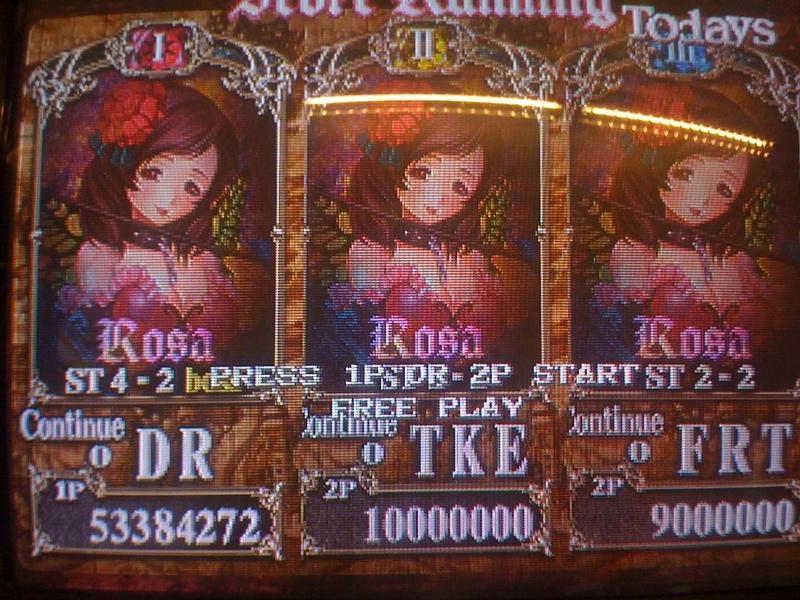 I'll have to try it with the rank on high soon. 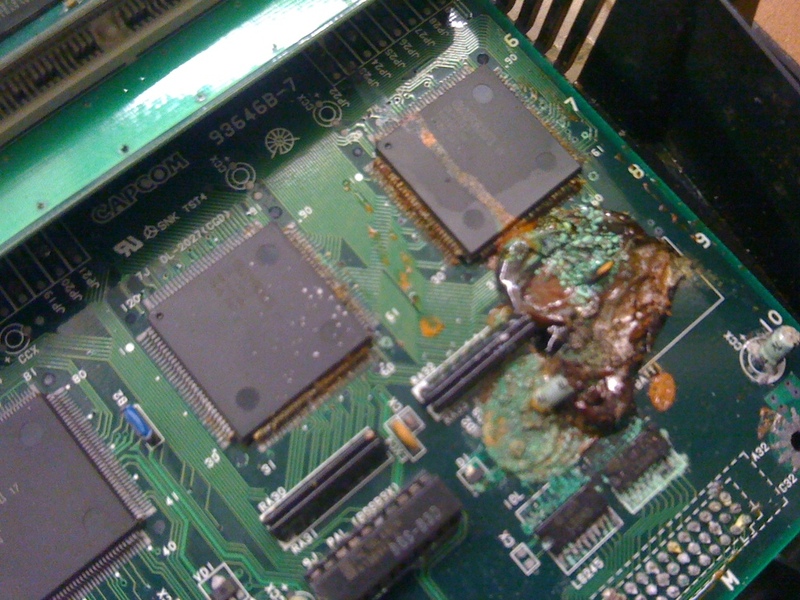 The bad news is that Dave's Progear's battery decided to explode at some point during the last year or so as it was sitting and coated a corner of the board in some caustic acid and melted away a number of traces and chip legs. I'm gonna clean it off and send it out and see what the possibility of getting it working again are. I know that the board has now suicided, but I have no idea what the costs of resurrection might be. Damn. I do feel blessed to have a job where after work, we have a beer fridge stocked with super good free beer, a nice stereo, tons of Nerf guns (mostly modded) and now three arcades. This is one of the many reasons I love my job and love working here at SRAM.